Republicans and Teabaggers Want to “Take Our Country Back” – to What? Their first “Take Our Country Back” theme has been made perfectly clear…they want to take it back to before we had a black, foreign-born, freedom-hating, Muslim President. 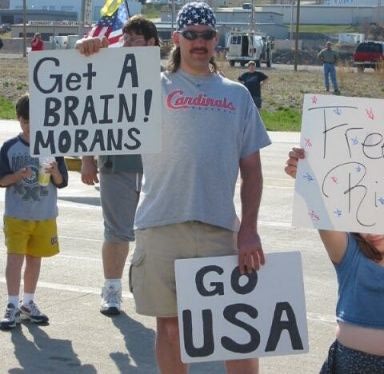 Of course, if you are talking to a semi-illiterate Teabagger and ask them to be more specific, you will only get a lot of unintelligible mumbling; because they can’t articulate anything beyond that black, Muslim President thing. Debt Crisis – the whole debt crisis debacle originated with President Reagan. 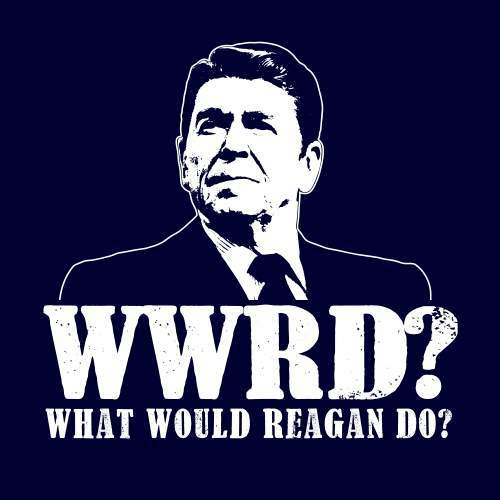 He tripled the Gross Federal Debt, from $900 billion to $2.7 trillion, by starting the greatest arms race in history. It took 31 years to accomplish the first postwar debt tripling, yet Reagan did it in eight years. Taxes – Ronald Reagan is an icon among anti-tax conservatives. However, Reagan’s rhetoric is clear but his record, not so much. Ronald Reagan was never afraid to raise taxes. He knew that it was necessary at times. And so there’s a false mythology out there about Reagan as this conservative president who came in and just cut taxes and trimmed federal spending in a dramatic way. It didn’t happen that way. It’s false. Reagan raised income taxes 11 times. Economy – When he became President, he had a concept that he could restore America’s economy by giving massive tax cuts to the wealthy. This concept became known as “trickle-down.” He claimed that by cutting taxes and promoting unrestricted free-market activity, it would generate more revenue (Reaganomics). The Reagan economy was a one-hit wonder. He began with big tax cuts for the rich and promises that the benefits would trickle-down to the middle class. But while the rich got much richer, there was little sustained economic improvement for most Americans. By the late 1980s, middle-class incomes were barely higher than they had been a decade before, and the poverty rate had actually risen. It was during Reagan’s tenure the differences in financial status between the rich and the poor increased dramatically and has continued to increase since his Presidency. Social Services – He was the one that started the cutting of all meaningful social services. It was during his presidency that helping the underclass and needy digressed to ignoring or walking away from them. Obviously, this is still the Republican manner today. Terrorism – Reagan appeased terrorists. He supported Saddam Hussein. He met with the Taliban. Do you remember IRAN-CONTRA? Reagan was so bad he SECRETLY TRADED WEAPONS to terrorists for HOSTAGES! Reagan retreated from Lebanon immediately after the 1983 terror attack by Hezbollah that resulted in the murder of 243 Marines. According to the 9/11 Commission Report (p. 68), Reagan’s cut and run INSPIRED Bin Laden, who viewed the United States as a “paper tiger” because of its rapid withdrawal after the attack. Guns – Reagan completely supported the Brady Bill, the holy grail of gun control. Reagan even wrote an op-ed piece for it in the evil NY Times. Abortion – Reagan signed the “Therapeutic Abortion Act” within six months of becoming California’s governor. There were 518 legal abortions in California in 1967, and the number of abortions would soar to an annual average of 100,000 in the remaining years of Reagan’s two terms. This was more abortions than in any U.S. state prior to the advent of Roe v. Wade. Deregulation – It was also under Reagan that the dramatic deregulation of the nation’s savings and loan industry allowing S&Ls to end reliance on home mortgages and begin a widespread engagement in commercial real estate speculation. The scandals were numerous, involving widespread mismanagement and hundreds of thrift institutions that collapsed. A taxpayer bailout in hundreds of billions of dollars was required. The initiation of deregulation continued, to the detriment of the economy. 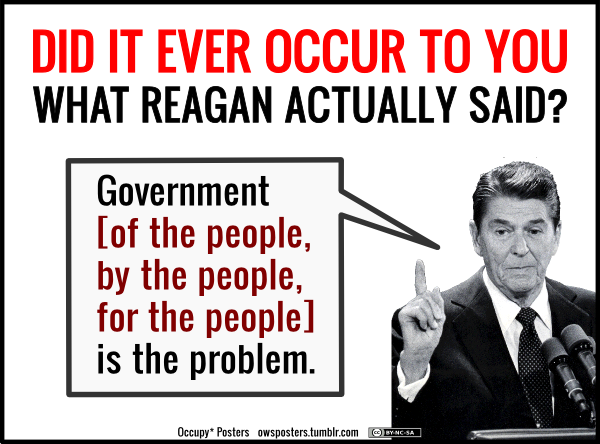 Yes sir…let’s “Take Our Country Back” to the good old days of Saint Ronnie. The problem is, those good old days of Ronald Reagan, are still here! !